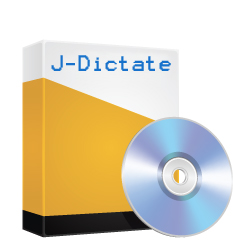 meet J-Dictate, the productivity tool! Download the Audio Podcast or Download the Accessible World Presentation! All releases of Microsoft Windows7 and Windows 8. JAWS for Windows version 11 through to 16. Dragon NaturallySpeaking Home, Premium, Professional or Legal version 13.0. Within the United Kingdom, please Contact Us! by Email or telephone for pricing details! The J-Dictate User Guide comprises two Books. The first Book consists of the "Installation Guide", which gives you step by step detail on how to install your J-Dictate product. It goes onto describe the voice training enrolment process and how to configure the Windows operating system, associated applications and the J-Dictate software to perform optimally. Finally, the "Installation Guide" discusses the hardware and software which should be used to ensure you can get the most from the J-Dictate interface, all using non-technical language where possible and delivered from the perspective of visually impaired people wishing to install the product.